Has someone close to you ever experienced the loss of a loved one? It’s one of those situations where you really don’t know what to say or do. There is no right reaction. Whether unexpected or anticipated, the loss changes their life in a way no one can ever fully prepare for. Our friend, Quentin, is dealing with the loss of 2 very close family members. I have always admired how much he uses his pain to minister to others. Even now, in the past 2 months, he has been very transparent in sharing his struggle… first losing his grandmother (who raised him) and now losing his great-grandmother. Quentin has personally shared with me how much every single gesture of condolence means to him. Also, in a community as large as K4LC, he knows there are others who are currently being impacted by the loss of a loved one. I know how it is to want to offer comfort and support to people during their difficult time… and to be the one who needs support. Essentially, it all boils downs to understanding how to love someone who is grieving. What can we do to show them love during this difficult time? 1. Offer condolences – Do not ever minimize how far your words, cards, emails, and gestures of condolence can go. It means something for you to take the time out of your day to extend heartfelt compassion and sympathy to those who are hurting the most. 2. Don’t rush them – Understand the grieving process is not an overnight thing. Losing a loved one is not like watching a television show and then, once it goes off (or after the funeral), everyone just goes on with life as if nothing ever happened. It changes everything. Exercise love by walking alongside the person and allowing them to take their time and go through the stages of grief. 3. Make their life easier – When you love someone, you do whatever you can to make their life easier. This is even truer during periods of grief. You should quietly look for ways to remove anything that might even, possibly, be a burden or barrier in their life. The goal is to do things that will not require in-depth discussions or a lot of approval from that person, just do it. This is why you often see people cooking meals, cutting the grass, putting gas in the car, ironing clothes, walking the pets, etc… All of these things help remove stress from the person who is grieving. 4. Understand their perspective – When a significant person in someone’s life passes away, it literally can change how the world looks through their eyes; it can change their perspective. So, any circumstance in life is now compared to the weight of losing their significant loved one. This is important to understand when talking to anyone who is grieving (or even someone who has passed the grieving stage or had significant loss or pain in the past). People who have suffered tremendous hurt, for instance, may not tend to dwell on insignificant details or things that really aren’t that important. They may not want to argue or disagree… instead, preferring to focus on things that have more to do with substance, helping people, valuing others, and love. 5. Be present (as needed) – Whether you are local or long-distance, do what you need to do in order to be present. This may mean traveling, in order to be near your loved one or… it could mean keeping your phone on 24 hours a day and giving them open access to you. Being present (as needed), means you make yourself available to them when they most need you. You do not overly assert yourself or assume you know exactly what they need…. but you do what it takes to be flexible and to let them know you care. It also means you do things to let them know you are thinking of them… sending cards, text messages, emails, or leaving voicemails. 6. Give them space (when needed) – Sometimes people who are hurting will not want to talk about it; they just want a moment alone to reflect. You have to be willing to give them that time. Definitely, you want to stay in touch, check in on them, and make sure they are OK. However, once you know they are holding up OK… be willing to give them space, if that will help them. 7. Be selfless – You must totally put yourself aside and be there for the one you love. They need you. Sometimes, it can be difficult, because their pain may stir up memories of pain you have felt in the past. As much as you want to share your story, you have to remember to be sensitive to the pain they are experiencing. Be present and available… they will let you know when it’s OK to share your own personal story. In the meantime, though, you must fully deny yourself in order to better serve them. 8. Don’t over-promise – Love gives. This is even truer during times of grief. When you love someone, you hurt because they are hurting and you want to give them more and more. However, be sure you are speaking to them in love and not allowing your emotions to take over. Only commit to them what you are able to provide. The last thing you want to do is set up their hopes and then disappoint them. 9. Listen – Finally, be willing to listen… for as long as it takes. Actively listen to everything they share. This will help you understand the love they have for their loved one. Be thankful they desire to share that love and legacy with you. I pray this information is helpful to someone. My heart goes out to anyone who is grieving the loss of a loved one. I know it is never easy. May God bless each of you and your families and may He give you a peace that passes all understanding. I’d like to extend my condolences to you, Bro. McCall and I pray for God to strengthen, lead and guide you! Lean not unto your own understanding because God never makes a mistake! Be encouraged! 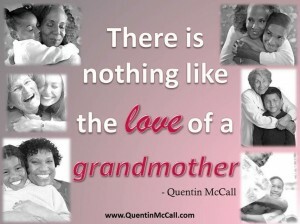 [K4LC Blog] How to Love Someone Who Is Grieving …-> http://t.co/gqGlSwf3 ..
My heart goes out to Quentin. As I read this article I felt my pain resurface. I lost my dad, ex husband and 2 week old grandson within the space of 9 months between March and December 2000. I agree with everything the writer said. The other thing I would like to add is that crying is a big part of grieving. The person should be allowed to cry when they feel like it. Anything can trigger the tears. It could be the smell of certain food, perfume, aftershave or music which reminds them of their loved one. A friend of mine recently lost her partner of 36 years. My heart ached for her because her pain was so deep. Sometimes I would just sit with her and let her talk, cry, laugh, get angry or sit in silence. Whatever she wanted to do as part of grieving, I let her do it. The important thing was that I was there for her when she needed my support. There’s no time limit on grieving. It’s been 12 years since I lost all those people who were so dear to me,but I still cry for them sometimes. That’s because the memories will always be there. The pain may be bearable now, but it still hurts. God is the one who carried me through by giving me the strength I needed to cope. Very good information! I stumbled across your blog. The info is very timely. I would like to see an article about dating a widow/widower or dating after the death of a spouse. I dated someone who’s spouse passed. It was extremely hard. It was okay in the beginning. I understood their loss and tried to be understanding. As time passed, realized that being “understanding” turned into a crutch for that person. It got to the point here this person would use that excuse for everything. Whenever there was any issue, they would bring up the fact that they were grieving to not deal with anything. I felt as if this person would never move forward. After a year of dating this person was still saying they were grieving which is why things would or would not happen with us. I started to think this person would never be able to get to know me for me and was trying to use me to replace what they lost. When it came to celebrating events, they want and to do things the way they did them with their spouse. Theyd tell me death of a spouse is different than getting a divorce because you still loved that person and they did not willingly end the marriage. After a while I couldnt take it anymore. I felt like the whole relationship was based around that and that we could never had a good relationship. I felt like I was not in a relationship that was “ours” but a mere fill-in for the relationship they lost. I have dated a widow before and it was hard…so I know how you feel. Imagined how hard it could be. The guilt was wrenching more than anything. The person had kids. I was so unhappy in that relationship but the guilt of ending it was killing me more than anything. I felt like I was being molded into the spouse they lost. I was losing myself catering to their needs. It was to the point where if I wanted to do something, they’d say well this is what we always did when my spouse was alive, this is what we are used to and we dont need to change it. I’d be standing there like what about what I like or the way Im used to doing things? Then they’d say you dont understand what it is like for your spouse to die. My whole life was changing to accommodate the way they lived with their spouse. They would always compare the way I did things to the way their spouse did it (i.e. Would get frustrated with something I did and say my spouse would have never done that). It was driving me crazy. Under normal circumstances, I would not have struggled with that. Because their spouse died, I would feel guilty about wanting a normal relationship, wondering if I was being cold hearted. I didnt want to seem mean or cruel. And, their kids liked me and I liked the. I felt guilty about disappointing them. I started to feel really disconnected from the person. Actually I never felt connected to the person. I felt like I could never get to really bond with them and that I was only there as a convenience to them. I helped them with their kids and that seemed to be the only thing that kept the relationship going. For that reason, I stayed around much longer than I wanted to. And, when things would get real bad, they’d say the kids really love you and Im glad they have you around. Then Id start feeling really bad. Yes, this is definitely a topic to write about. My comments on here by trying not to put too much information that identify people. I dont want to get caught up in the FaceBook madness, lol. Although I write about myself, the others involved are either om my FB list or someone related to them or knows them personally is. I dont want no one calling, sending me messages or putting notes on my wall talking about why are you writing about me. ROFL. If its generized, I”ll just say, you dont know if that’s about you. A lot of people have probably did that. That could be anybody. ROFL. The articles and information you provide is very helpful. I love the positive vibes. I like passing the info along on FB. Goodnight!